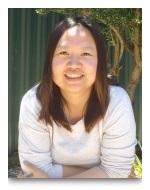 Get to know our team of early childhood teachers! Read on to find out more about our teachers and the age groups they care for, from under two years old to four years old. My passion is pre-school education. I enjoy working with all age groups. My belief is that your children learn best through play, following their own interests and being supported by teachers that are committed to excellence.Hi, I have been a NZ registered Early Childhood teacher since 1993. I was involved with the Playcentre movement, tutoring to level 3 kids and faciliating leadership programmes. I have also been involved with Lifeline, becoming a face-to-face counsellor. I live in West Auckland with my husband John and a Jack Russell dog, who has more energy than the both of us. I have two adult sons and two lovely daughters-in-law, who have blessed us with 6 gorgeous grandchildren. All our grandchildren have attended Te Atatu South Childcare. I enjoy spending time with my family and friends, growing vegetables, walking, and ballroom dancing. I am currently working with the children in our Infant and Toddlers room. 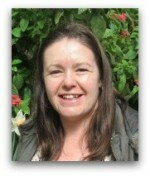 Hi, I joined the Centre back in 2005 when I started my Bachelor of Teaching (ECE). After graduating with my Bachelors in 2007, I went travelling around Europe for 18 months then returned back to the amazing teaching team and families at Te Atatu South Childcare in 2009. I then gained my full registration. I enjoy working alongside the children at Te Atatu Childcare and watching them grow into competent and capable young individuals. I love watching them in their play and listening to their conversations amongst their peers. I also have a passion for working with children with special needs. Outside the centre environment I enjoy photography, crafts and spending time with my friends and family. Hi, I am a fully registered teacher with a diploma in ECE. 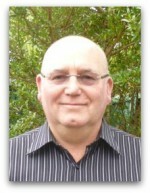 I have been at Te Atatu South Childcare since 2001. During this time I have gotten married and had three children, who have all attended Te Atatu South Childcare. I enjoy setting up the environment with experiences for the children to come and then discover and investigate in their own time. I support the children by following their needs, strengths and interests. The infant and toddler room is full of fun and surprises. Each day the children are provided with an exciting and challenging environment, which caters for their individual interests and needs. The infant and toddler room has its own outside area which has a shell garden, climbing equipment and a rabbit called Flopsy. The children spend their days actively investigating the environment with different materials presented to them to enrich their thinking and exploration. We endeavor to provide a calm and peaceful environment, where children choose their own play and also learn to be part of a social group. Each child that joins the room is assigned a key teacher. This teacher will support your child throughout the day ensuring their needs are met and they become comfortable with their new environment. The room has equipment and shelving that can be moved around to accommodate your child’s needs appropriately. This means we can make smaller areas within the large room, ensuring your child’s safety and well-being. Children under the age of one will have plenty of one-to-one attention. I am the team leader in our Infant and Toddlers room. I support and oversee the teaching team within this room while caring for the children. I hold a Certificate of Early Childhood Education (ECE Level 4). I am very passionate about working with children.I enjoy setting up learning experiences for children to explore, play and most of all have lots of fun. I have two children and I am originally from India. I look forward to working with you and your children. 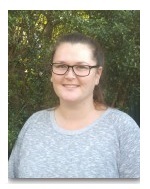 Hi everyone, I am a qualified Early Childhood Teacher with a Bachelors degree in Education from the University of Auckland and I hold full teacher registration. I have been working in Early Childhood since I was 18 and one of my passions is creating learning stories and documentation. I entered the profession after being inspired by my mother who has been involved in the Early Childhood community for over 40 years. I really appreciate the play-based curriculum that Te Atatu South Childcare offers and the atmosphere that the freedom creates. In my spare time I enjoy spending time with my husband, friends and family. I also love all animals and technology. We invite the children who are nearly two over from the infant and toddler room to join in with our group time (this happens most days after morning tea). During this time, we sing songs that are familar to them. They also learn some new action songs and listen to stories. From here they stay and play or take part in our group time where we do simple fun experiences like baking, science experiments, arts and crafts, which helps to build relationships with peers. By inviting the children over regularly they soon become comfortable with their surroundings and begin to understand that this will be their new place to play and learn once they are two.Welcome to the two-year-old group. Transition and settling plays a key part in our group, whether transitioning from the infant and toddler room, or starting out. We chat openly to the parents and whanau to build that important relationship. By bringing your child in frequently before they actually start, your child can get to know what is expected from their new environment and who their key teachers are. They can also be involved in some of the regular routines that happen each day. Toilet training and developing self help skills (such as learning to wash their own hands, dressing themselves, putting their own items of clothes away in their bag/cubby hole for example) is another important part of this age group. During this important stage of your child’s development we again work closely with the parents/whanau to ensure continuity between what is happening at home and what is happening here at the Centre. These can be tricky skills to master but with our daily coaching and encouragement your child will soon get the hang of these skills and learn to become capable and independent. We look forward to playing and learning alongside your child. Nihao, I am from China. This gives me the advantage of being able to speak both Mandarin and English. 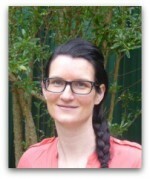 I am a fully registered teacher with a degree in Early Childhood Education from Whitireia Polytechnic in Wellington. I believe that building strong relationships with children, their family and the other teachers is the key factor to best supporting children’s learning and development. I have a younger brother who lives in China with my parents. I have a very loving family and am grateful that my parents have been so supportive in letting me follow my heart to study and live in New Zealand. In my spare time I enjoy chatting with my parents and brother, going out for dinner, watching movies and travelling with my friends. I support the children who are turning two with their transition to the over two’s area. 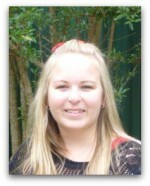 Hi, my name is Rebecca and I have my Bachelor in Early Childhood Education and have full teacher registration. I have recently returned from living in Canada with my husband and two children. We all missed our family and friends in NZ, so decided to make the move back and to return to our jobs and schools. 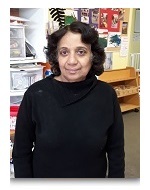 While in Canada I worked as an Educational Assistant in a primary school. I worked with children who had behavioral difficulties and needed support in their classrooms. I enjoy engaging in mat times and music and movement experiences with the children and using the environment as the third teacher. In the 3-year-old area, free play is an important part of our program. This is where they learn social skills – how to play cooperatively, problem solve, and understand other perspectives. Play helps children apply knowledge and understanding to their ideas, feelings and relationships. Children will transition from the two-year-old group anytime from their third birthday, to the time they are three and a half. It depends on the child and whether they are showing interest in being involved with the happenings of the three year old group. Each day the children experience small group interaction which helps form a sense of belonging to the three year old group. Children will learn about contributing, putting their ideas forth, and to follow what interests them. Basically the day is one of free play and children are supported through their day by a fully qualified teacher, who encourages and extends their learning and development. It is from 3 years of age that children qualify for the Government’s 20 hours subsidy, meaning they receive subsidised fees. Please come along and see what we have to offer! Hi, I am the key teacher for the 3 year old team. 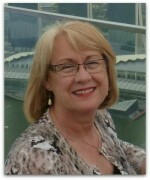 I have been working at Te Atatu South Childcare Centre for many years. During this time I studied at NZ Tertiary College completing my diploma in ECE and also gaining full teachers registration. I am married and have two children. I really love our little family-orientated centre and over the years have seen many lovely families come and go. I enjoy working within a dedicated team of ladies, who like me, have been a part of our centre for many years – teaching, caring and looking after all of our children everyday. At home I enjoy watching my husband and son play softball and my daughter dancing. I enjoy swimming and boxing. I also enjoy baking and a spot of reading too, when there’s time! Hi, I am a South African national living in New Zealand since 2007 with my husband. I joined the team at Te Atatu South Childcare as a volunteer in 2010. At the end of 2015, I completed my Bachelor of Early Childhood Education at NZ Tertiary College. My patience, warmth, and caring disposition, combined with the many years of being a home-based caregiver have inspired me to train and work in the early childhood education and care sector. I am a dedicated, motivated and resourceful teacher who aspires for all children to be successful learners. I believe it is a privilege to teach and learn alongside such a wonderful age group of children. In the four-year -old room the children engage in a lot of learning through play where they are able to develop a love for learning. We have established a reciprocal relationship with our local school, this provides us with the opportunity to participate in a number of different experiences which allow the children to develop a sense of school readiness. For example, we visit the new entrances classes and have teachers come to do mat times in our centre environment. In the last year, laptops will be introduced into the weekly program. Technology is the way of the future and is commonly used within the school environment nowadays. The four year old’s use programs which allow them to gain basic mouse control and will often use Google as a way to research questions they may have. 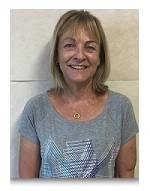 I am the team leader of the teachers and children in the over-two’s area.I am the key teacher for the four-year-old children and enjoy supporting them with their transition to school. 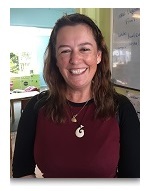 Kia Ora, I am Christine and very happy to be joining the team at Te Atatu South Childcare Centre. I trained in Wellington, gaining my Diploma in ECE in 2005. I have been involved in children’s learning and development over many years; as a support person in primary schools and nannying before deciding to do my training in ECE. I am passionate about the outdoor environment and look forward to working with the children and exploring the natural world. In my spare time at home I enjoy sewing and creative activities. Hi, I am Jacintha. 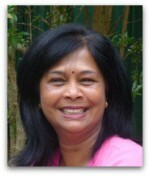 I migrated to NZ from Sri Lanka in 2002. I live in West Auckland with my husband and two adult sons. I have been working in the ECE sector for the last 15 years. I got my Bachelor of Education from University of Auckland in 2005. I joined the Te Atatu South Childcare team in September 2017. I am working in the over two’s area, mainly in the four year old room. I am an advocate of learning through play and committed to providing a stimulating environment to the children in my care, to allow them to engage in play in their own way. I love gardening and reading in my spare time. Hi, I’m the Centre cook. 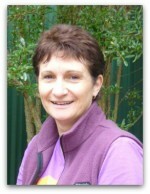 I have worked at Te Atatu South Childcare since 1997. I enjoy preparing the children healthy, nutrious meals that they enjoy. Nothing make me smile more than their reactions – “Yum, I love …..” “Thanks Justine, that was nice”. In my down time I enjoy reading, meals with friends and “me” time. 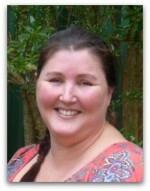 Hi, I’m in charge of the administration for Te Atatu South Childcare. I started doing this part time after I had my first child 10 years ago. It is a lively place to work with the children’s constant happy chatter in the background. I enjoy reading, baking and spending time with my family in my free time. 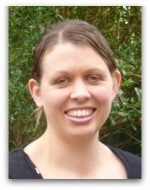 Hi, my involvement at Te Atatu South Childcare is a maintenance and purchasing one. Some part of my day is spent in the Centre. I come from an engineering background and moved into the field of Early Childhood when opening a Centre with my wife, Stephanie, back in 1991. It has been a great pleasure to see the hundreds of children grow from babies into school children over the years, I feel totally blessed. Te Atatu South Childcare has always been a family centre and I am very proud to say that the staff have made sure it stays that way. 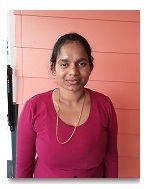 Hi, I have been coming to Te Atatu South Childcare Centre twice a week for 12 years. I teach the children ways to keep their bodies healthy through music and movement. I also incorporate awareness of what the children eat, promoting healthy foods, and sharing basic knowledge about how the body works. Now that you know a little bit about us and our early childhood teachers, we’d love to get to know you! Get in contact with the team today, and become part of the Te Atatu South Childcare family!